The last night's episode of the popular reality show, Bigg Boss season 11, saw the jailed contestant, Vikas Gupta trying to run away from the house after getting provoked from co-contestant Shilpa Shinde. 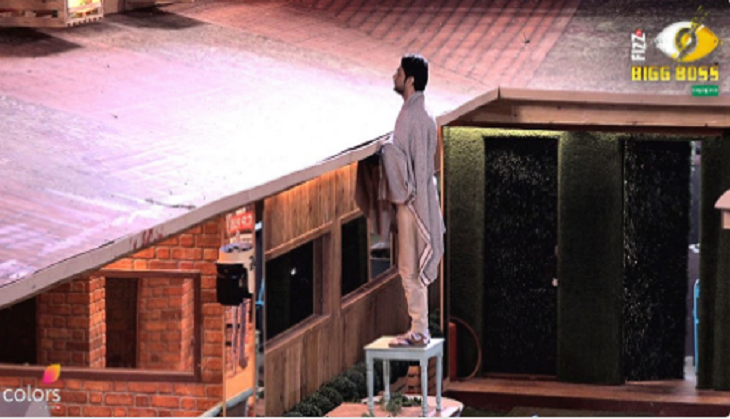 The last night's show also showed the captaincy task that took place in the house where Puneesh, Benfasha and Hiten competed for the captaincy. For the fans of the show who missed the last night's episode of the show, check out the highlights of the last night's episode in the form of 5 Catch points that attracted the attention of it's viewers and the contestants. 1. Vikas Gupta said that he wants to leave the show because of the torture that Shilpa is doing to him. He shouted and asked Bigg Boss to let him out of the jail and all the other contestants calmed him down. He asked the captain, Luv Tyagi to get him out of the jail since he needs to go to the washroom but Luv denies since there was no announcement from Bigg boss' sides. 2. Vikas during the night collected the furniture and tried to make a ladder out of it to climb out of the house and tried to escape. All the other housemates, in the morning discuss abouthow he tried to leave the house. Vikas in the jail, tells everyone how Shilpa has irritated him a lot. 3. Akash told Puneesh that Vikas had hidden his immunity shield in his bag. Puneesh tried to break the lock of Vikas' bag to take out the shield. Later Bandgi, told Puneesh to stay away from Akash. Shilpa asked Luv to ask Vikas about Akash's shield but he denied. Akash Dadlani and Puneesh Sharma are snooping around. Watch #BB11 now to see what they are upto. 4. Bigg Boss announced everyone that since Luv's captaincy is ending there will be another captaincy task. He even announced that Vikas can now become the captain of the house but since he had broken many rules of the house by trying to escape from the house, that is the reason why he cannot become the captain this week. 5. Bigg Boss introduces a captaincy task in which Benafsha, Hiten and Puneesh have to compete with each other. In the task, they have to keep bicycling and keep drinking a glass of water to stay in the task. Puneesh and Benafsha discuss about peeing in the pants. Puneesh wrapped a towel and peed next to the bicycle.